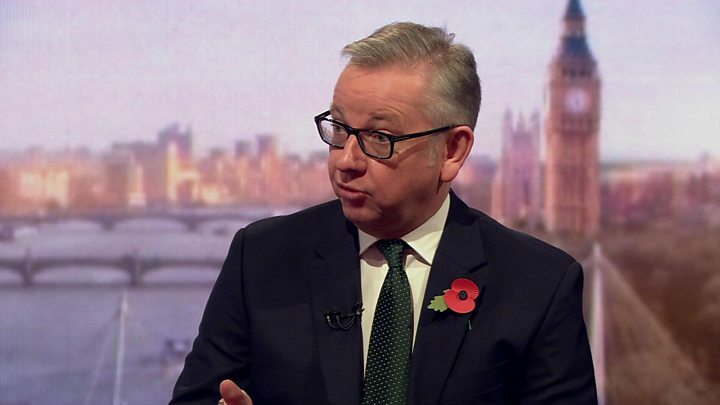 Michael Gove has come under fire for saying he didn't know what Nazanin Zaghari-Ratcliffe was doing in Iran when she was arrested in 2016. Mr Gove told Andrew Marr he would "take her husband's assurance" that the British-Iranian citizen was on holiday. He was defending the foreign secretary, whose own comments have caused concern that her sentence could be extended. 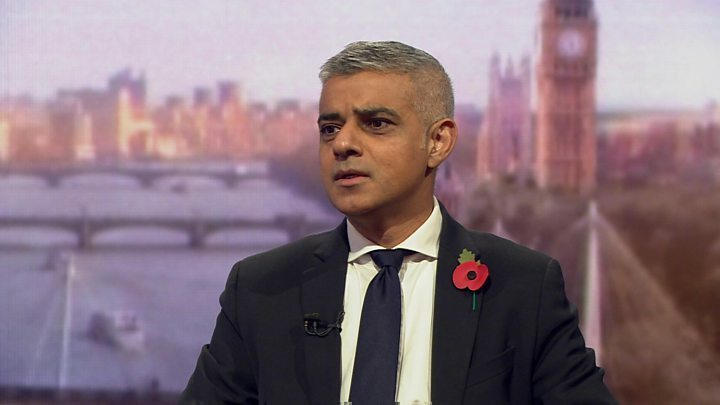 Labour said he "was more interested in protecting (Boris) Johnson's job" than Mrs Zaghari-Ratcliffe's liberty. Shadow Cabinet Office minister Jon Trickett said Mr Gove had "compounded" Mr Johnson's "cavalier approach to international diplomacy". 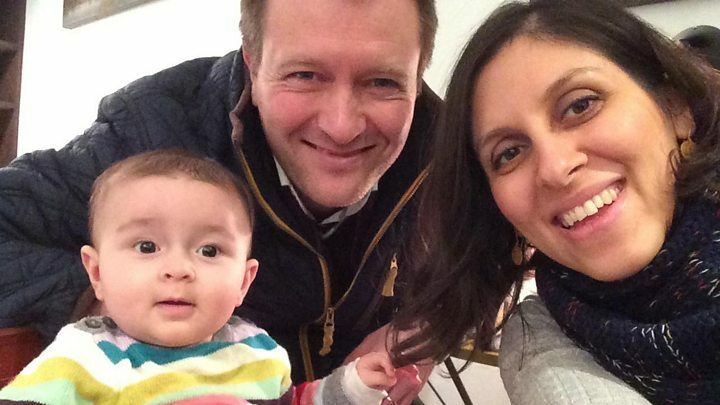 Mrs Zaghari-Ratcliffe was arrested at Tehran airport with her 18-month-old daughter in April 2016, one of several Iranians with dual nationality to be detained over a period of months. She was accused of trying to overthrow the Iranian regime - charges she has always denied - and sentenced to five years' imprisonment. She says she was on holiday in Iran so relatives could meet her young daughter. The arrests were seen as part of an attempt by Iran's Revolutionary Guards to undermine President Hassan Rouhani and the process of thawing relations with the West. Last week UK Foreign Secretary Boris Johnson was criticised for suggesting she had been training journalists on the trip - causing concern it could cause her sentence to be lengthened. Mr Johnson has since said the government has "no doubt" she was on holiday "and that was the sole purpose of her visit". Asked on Sunday by Mr Marr what she had been doing in Iran, Mr Gove replied: "I don't know" adding there was "no reason Nazanin Zaghari-Ratcliffe should be in prison in Iran so far as any of us know". He went on to say her husband was the person who would know and he would take his assurance that she was on holiday. Media captionSadiq Khan: "If Theresa May was a strong prime minister, she'd have sacked him a long time ago"
He said: "We make a big mistake if we think the right thing to do is to blame politicians in a democracy who are trying to do the right thing for the plight of a woman who is being imprisoned by a regime that is a serial abuser of human rights." "Who is in the dock here? Iran. It should be the actions of their judiciary and the revolutionary guards." He added the UK should not "play their game". Meanwhile, Labour leader Jeremy Corbyn and London Mayor Sadiq Khan have both called for Mr Johnson to resign for putting Mrs Zaghari-Ratcliffe at risk. Mr Corbyn told the Observer Mr Johnson should be sacked as foreign secretary for "undermining our country" and "putting our citizens at risk". Media captionNazanin Zaghari-Ratcliffe's husband said "she was just a mum on holiday"
"For Michael Gove to go on TV today and say he wasn't sure ... he should know that Nazanin was on holiday and in compounding the lie that was told about training journalists, he is only going to make life worse for my constituent." It is understood that Mrs Zaghari-Ratcliffe's husband Richard spoke to the foreign secretary on Sunday. Mr Ratcliffe told the BBC he hoped he might be able to travel to Iran with Mr Johnson to meet his wife and see his daughter, who he has not seen in person since the arrest.